So you’re planning an e-commerce website, and you want it to be perfect. Simple and organised information architecture, with all your products organised into neat little categories. Just like the good folk at Allbirds.com who sell those woolly shoes that are all the rage in Silicon Valley. You want visitors to skip through your site and find exactly what they need. They fill up their carts and check out, paying you their spending money for your awesome products. Ideal. BUT… right now, you don’t have a website. Yet. So what happens next? How can you turn your notes and ideas into a fully functioning e-commerce website? You’re in the right place. Scroll along as we cover the basics of getting an e-commerce website created from woah to go, with an emphasis on planning and information architecture. 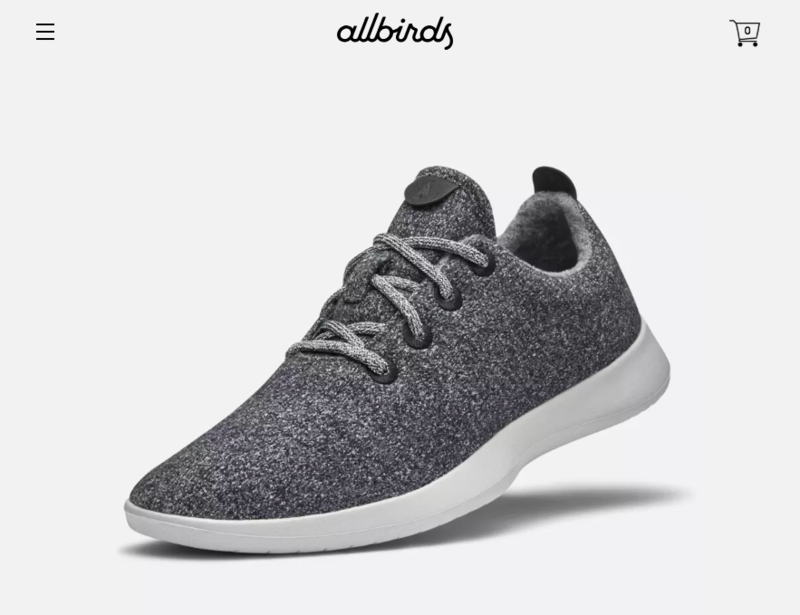 Along the way, we’ll also be reviewing Allbirds.com as a case study in e-commerce information architecture. Where do Landing Pages fit? Your customers need to be able to find your products, so that they can buy them (yay, money!). They need to be able to answer their generic questions about shipping, sizing, returns, and so on, within 30 seconds (the age of the internet has vastly reduced our collective attention span). Your checkout flow needs to be dead simple. Get the right product in the cart, and get the heck out of there. Oh, and you’ll be wanting SEO-friendly pages that will help attract organic traffic for your main keywords. It sounds cumbersome, but it’s actually quite simple. Information architecture is organising the content of your website in a logical, category-based flow of information. It’s about creating a website that is friendly for users and optimized for SEO. Like many aspects of website creation and development, the whole point of information architecture harks back to user experience. Make it easy for people to find what they want! That’s it. What do they actually want? What is the value to them? What words do they use to describe it and how do they talk about/ categorise it? What action do they take that might lead them to arrive at your website? Talk to people. It’s actually way more important than just planning by yourself. With these answers you’ll have a clear direction for not just your marketing copy, but also how to organise the information architecture for your website. You’ll be wanting to map out an easy to follow route tor each of these main paths. Let’s look at how the pros do it. Other than comfort and style (and did I mention ease of washing? That reminds me, I need to throw mine through the washing machine again…), there’s another more topical reason we love Allbirds. They keep their information architecture simple. Their site can be divided into ‘Information Pages’ and a list of ‘Products’ sorted into ‘Categories’ (or ‘Collections’ in Shopify). Take a quick peek at Allbirds’ Information Architecture. Platform Tip: If you haven’t chosen a platform for your store yet, I’d highly recommend using either Shopify or Squarespace. Sure there is a monthly cost, but you’ll save time and money on design/coding bills by buying a pixel-perfect theme, you’ll have a perfectly optimised checkout, no headaches with integrating payment providers, and they provide a good base for SEO work (sitemaps, category/landing pages, etc.). Just do it. Using Allbirds as a guide, we’ll put you in charge of listing your Products. You’ve got this. You’ll also need to group these under Category headings that make sense to your customers. When visiting Allbirds, you’ll notice that they first categorise by gender, and only after that can you filter by product type. Other stores with a wider range of products will more likely offer the ‘type of product’ choice first. You’ll have to do what suits your product range best. There we go. Pick and choose your own Information Pages for launch, and start filling them with content! When users are searching for products, they’d rather see products than a word-heavy landing page. In e-commerce, category and product pages will often be used as ‘landing pages’. So for product-specific searches, grab a Shopify plug-in to ensure you are doing SEO well on these pages. ‘On-page SEO’ is all about having the target keyword or phrase in all the right places in the code and content. Your homepage can target 1-2 keywords, and for target keywords that are not specific products, you can also create extra information or blog pages. Tip: When marketing a specific product, link straight to that product. No need to add extra steps. For non-specific ad/ email campaigns, you can link straight to the homepage, but be sure to add a tracking code so you can measure the effectiveness of each campaign! Enough reading, time to start doing! Don’t get me wrong, creating content will still take time and effort (especially product images! ), but you can quickly figure out your information architecture by looking at the examples of market leaders, like Allbirds.